Vector image set with different metal bells. Cartoon graphics of a bell with a leather strap, bell with elongated metallic handle and bells with round rings for holding and hanging. 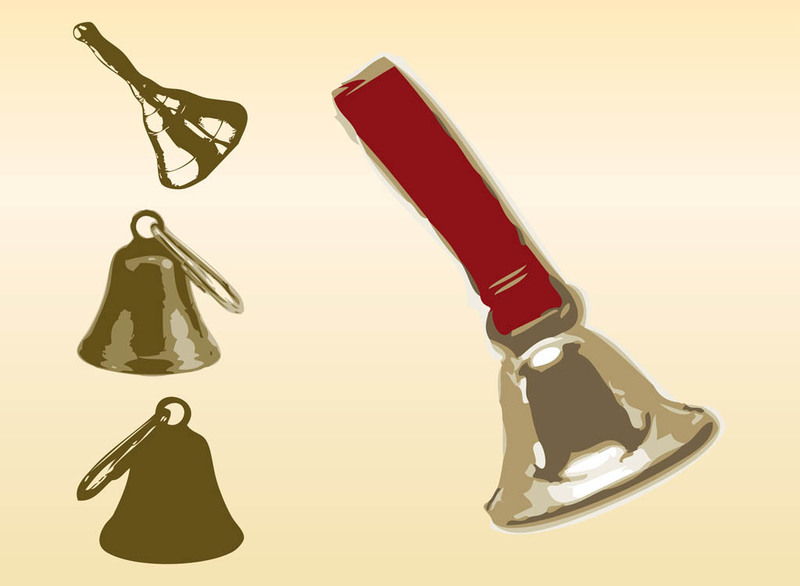 Free vector design to create bells, notifications, sounds, noises, animal bells and Christmas decorations visuals. Tags: Bell, Bells, Christmas, Church, Easter, Metal, Metallic, Ring, Sounds.